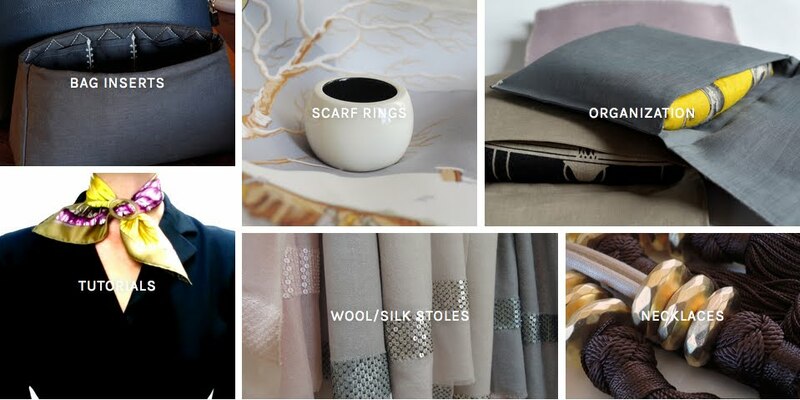 I've been asked many times how I care for my Hermes scarves, and since I know no one who is such an expert on the subject or so skilled and entertaining a writer as is my dearest friend Jerrine, I am thrilled that she agreed to cover this post. Her instructions are the bible on how to clean your Hermes silk scarves. I applied her methods straight-away to my Monsieur et Madame carré and added pictures of the process at the end of this post. I hope you enjoy reading Jerrine's proficient and comprehensive instructions as much as I did, and that your scarves will be beautifully cared for and maintained as a result. While we’ve all seen the warning to only dry clean our Hermès silk scarves, there’s no reason you have to. Hermès, like any other manufacturer, states this as a disclaimer to basically protect themselves. With a little care and the correct products and method, you can easily and successfully hand-wash your silk scarves, whether they’re a brand new issue or an earlier vintage design. Actually, you’re doing your scarf and yourself a favor when you do wash by hand. The chemicals in dry cleaning fluids, even the non-perc varieties, are harmful to silk over time. They’ll yellow white and pale backgrounds; they’ll diminish the natural luster of the silk, and they’ll weaken the fibers. Silk is a natural product, which is much happier in water than it is in chemicals. Even Hermès treats the scarves to a water bath to set the dyes. And, there’s also the odor of the chemicals, and who wants that close to their face? Finally, there’s the sad fact that the majority of dry cleaners simply do not take the necessary care. They’ll flatten the hems during pressing, which is usually done on a machine, and regardless of how many times you plead with them not to pin the ID tag to the silk, they’ll do it anyway, and you end up with small pin holes in the scarf. Of course, they charge an arm and a leg for the favor! You can successfully wash your scarf for a few pennies and have a much better result. First of all, you need a bit of courage. The first time you plunge your beloved carre into a sink full of water, you cringe and say a little prayer that all will go well. Have faith; it will. I’ve washed dozens of scarves and never had a mishap, and I’ve only heard of one very, very old vintage design bleeding a bit, and that was just one color – a very bright emerald green. Secondly, you need to use the right products. I prefer Le Blanc silk and lingerie wash, which you can find in lingerie shops and online from Amazon. It’s not inexpensive, but it gives wonderful results and restores the luster to the silk, and a bottle will last for years. It comes in various sizes and either scented (a pleasant gardenia fragrance that disappears when you dry and iron the scarf) or unscented. I’ve heard of using baby shampoo, which is certainly gentle, but I do recommend a product that is specially formulated for silk. It only makes sense! What you do not want to use are harsh dish detergents, regular laundry detergent and especially Woolite, regardless of what their label says. The second product to add to the wash (and to give you a boost of confidence) is a Shout Color Catcher. These disposable sheets are made by Johnson & Johnson and will capture any errant dye before it can bleed into the silk (you won’t have that problem anyway, but you’ll feel safer using one). They’re inexpensive, and you can find them on the laundry isle of any grocery store. The third product is optional and using it depends on how you like your scarves to feel. Hermès uses a finishing/stiffening product to provide the “hand” that is part of a new scarf. Some people like the stiffness; others do not. It’s simply a matter of preference. But, with older vintage scarves or simply favorite scarves that you’ve worn half to death, you may not like the softness and the thinner feel that develop over time, and silk does thin with use and wear. If you’d like to restore a bit of body to your scarf, buy a can of Magic Spray Sizing from the laundry aisle of your grocery store. I’ll tell you how to use it later on in the instructions. 1. Assemble your cleaning products, as well as a large, clean white or light colored towel. 2. Take off your rings, and if you have a rough nail that might snag the silk while swishing, get out your emery board. 3. Make sure your sink is immaculate. 4. Fill your sink halfway with tepid (cool) water. It doesn’t have to be ice cold, but it shouldn’t be hot either. Add the silk wash according to the instructions and swirl the water to make sure that it’s evenly dispersed. Add your safety net, the Color Catcher sheet. 6. After your scarf goes into the water, set your timer for 3-4 minutes. Do not be tempted to soak it for a long period of time. You can always repeat the process if you feel necessary, but long soak periods will release the dyes. 7. Keep the scarf moving at all times by gently swirling it through the water. 8. When the timer goes off, remove the scarf, drain the sink and fill with fresh water. Immerse the scarf once again to rinse out the soap residue and swirl gently. Repeat this process twice to make sure your scarf is thoroughly rinsed. 9. Gently fold and press the scarf between your hands to remove excess water (do not wring it like a rag!) and spread out over the clean towel. Roll up the towel and scarf and press gently to absorb most of the water. Then unroll and place the scarf over a shower bar/rod, or on a dry towel on the back of a chair or even draped over a laundry rack. Make sure your rack has no splinters or anything that could snag the silk. Do not use a hanger with clips, as the clips will leave marks on the silk. 11. The scarf will dry fairly quickly, so check it after about 20-30 minutes, as you’ll have better results pressing the scarf when it’s just slightly damp. 1. Make sure that your ironing board cover is impeccably clean, as well as the plate on your iron. 2. Set your iron to the silk setting. However, I’ve found that the silk setting isn’t high enough to remove heavy wrinkling. I’ve had more success putting the iron on a higher steam setting and using a pressing cloth over the silk. This can be a lightweight white cotton handkerchief or even a square of very light white cotton fabric, e.g., muslin or cotton voile. Don’t use a synthetic fabric. The trick is that you want it to be transparent enough so you can see when you’re approaching the hems. 3. If you want to add some body back into the scarf, spray the backside lightly with Magic Spray Sizing, and I mean lightly. Do not drench your poor scarf! Hold the can about ten inches from the scarf, spray lightly and then press. You can always go back and spray a second time for a bit more body. And, you can spray the front side of the scarf, as well, if desired. Starting with the backside of the scarf, iron to the hems, moving the pressing cloth as you go and then turn the scarf over and press the front side, again avoiding the hems. 4. If you want to press in the original folds, get out one of your scarves where the creasing is intact and study how it’s been folded and replicate. It’s just a matter of folding and then pressing the iron over the folds to provide nice sharp creases. But, if you prefer no creases, simply skip this step. If you follow these suggestions, I think you’ll be pleasantly surprised as to how easy and inexpensive it is to keep your scarves looking their very best. Do it when you have the time and won’t be distracted. It’s actually relaxing! Do wash one at a time, though. Each lovely scarf deserves its own bath and your attention. P.S. While the above method and products work wonderfully for Hermès silk scarves, I have not tried it with other designer scarves and would not suggest it. Hermès sets the dyes with water, and this may not be true of other manufacturers. The marks below are waterbased paint, so I started by carefully spot-cleaning them with the 50/50 water/silk detergent solution she recommends.. happy to say that they disappeared without a trace! ironing the folds back in.. Done! The scarf is clean and fresh, smells lovely and the folds are back. Why was I choosing my Monsieur et Madame carré for this post? Thank you for this post! I've hand washed my scarves before, but with these tips now I will feel more confident! Hexicon, yes confidence is everything. The first time I washed one of the pretty babies, I stood in front of the sink with it in my hands for about five minutes before I finally said, oh, the heck with it and plunged it in the water. After that first experience, I've never looked back. My dry cleaner's revenue has dropped off considerably! Thank you so very much for sharing this valuable information. I have been wondering about hand washing my scarves for the longest time. I typically rush them to my (very expensive, but very good) local dry cleaner at the first sign of a stain or when the acquire that yucky less than fresh smell. They get not squishing the rolled hems and soft pressing. It's great to have this option for home care. Thanks for walking us through this, Jerrine. Adorable picture of the boys -- such a cute pair of pups! You're most welcome, Marla, and how wonderful that you have a dry cleaner who understands the intricacy of taking care of an H. scarf properly. Atlanta's dry cleaners seem to think, nah, if we want to pin on that ID tag and iron the hems, we're going to do it. Tough! And, of course, they do . . . every time. PS - I do like saving the money, as well. More H. scarves! Thankyou Mai Tai and Jerrine for this scarf care special edition. I want to be brave, particularly as I hate the affects of the dry cleaning process. DK, be brave! I was very timid and fearful of ruining a scarf when I first started washing mine, but each time has been successful, so I don't even give it a second thought at this point. And, it's so much kinder to the silk than having it cleaned with chemicals. I couldn't stand the way the scarves smelled when they'd come back from the cleaners and would have to air them out for a week before I wore them, as those chemicals bothered my allergies. Well, everything seems to kick up the allergies, but at least now I don't have to worry about sneezing all over my H. scarf. I don't know how to thank you, dearest MaiTai, for listening to the wishes of your humble readers, and for adding live pictures of your laundry experiment - and Jerrine, for your super exact step-by-step instructions! You two are simply the best. I wish I had known everything before I hand-washed some of my scarves (with good results, I can assure) - but I had two really bad mishaps with my laundry room sink...turned out the plug had a tiny little splinter where the silk got caught in the swirling process. So when in doubt, I'd even recommend using a bowl. Milo and Roley couldn't have finished off this most helpful post any better- I'm so happy for the two that you had such a good heart to adopt Milo's Brother as well. So sorry to hear about that nasty plug attacking your beauties, Katja. I use my kitchen sink, as it's stainless and very smooth, as is the stopper, but using a basin or bowl is a very good idea if there's even the slightest doubt. I did catch one with a rough nail once, though. I wasn't even aware that the nail tip wasn't smooth, but the scarf found it immediately! Aren't the Wiener Boys the cutest and so well behaved not to take their nails to Mum's M et M. They probably have a better manicure than I do! Good advice Katja. I washed some recently too and did use a plastic wash basin for added protection. Do you or Jerrine have any thoughts on using this method for a Maxi Twilly? Christi, you can use the same method for a Maxi Twilly - no problem. Wonderful advice , my advice is to avoid washing older red scarves especially with a white background, the dyes were less stable. I have done it with a couple of red vintages, Estrella, and have had no mishaps, but, yes, I agree, it's always safe to be cautious with the "old ladies"- they're not as stable and can be a bit crotchety. Heck, so can I! And, I always throw in a Color Catcher just to relieve any anxiety! I'm glad you enjoyed the advice, thank you. Jerrine, you are our good fairy! You are most welcome, Catherine. The fairy, good or not, is always happy to help out. And, besides, I love cheating the darn dry cleaners out of revenue and the opportunity to attack our scarves with their murderous stapler. Aww, I am so happy for Roley and not surprised at all about your decision, how could you resist to these beautiful dark eyes. Good luck with your two devils, they will drive you crazy! Double portion of love for you MT. You're so welcome, Blighty, and I'm with you - I want to hear how our girl managed to get paint on her scarf, too. I have a mental image of her glamorously painting the house attired in a cashmere Max Mara sweater and an H scarf! MT, I laughed when I saw that you had used your M et M for your first bathing experiment. It's probably the scarf that I've washed the most times - at least six and counting. It's a favorite, and it's worn often, and each time, something always manages to make its way on to the WHITE part of the design, so in the sink it goes. I want to expand a bit on the need to swish and swirl. What this does is replicate the action of a washing machine. Someone once told me that it's not the detergent that gets laundry clean, it's mainly the water and the agitation motion of the machine that removes the dirt from the fibers, so it only makes sense to carry over the "agitation motion" to hand washing, as well. So, the next time, a bit of salad dressing somehow manages to find its way to the white portions of M et M's design, she's going to get a little treatment with Bioderma. Thank you Jerrine for this detailed primer on hand washing our silks! I can attest to the beauty of this system with The Laundress product. I have never used the color catcher, but may have to check that out! Knock wood I have been lucky thus far not to need! Thank you MT for the demo of the above! Your darling hounds, I am sure, appreciate their bed being draped in a beautiful H scarf to match their coats! These two fellows are so sweet and I am thrilled for all with the Roley addition! Wishing all a most blessed and peaceful Easter and/or Passover to all gathered here! You're definitely welcome, Trudye. I certainly love The Laundress Delicate Wash, but I have to admit to loving Le Blanc just a bit more for the scarves, as it adds such a lovely luster to the silk. Both products will definitely work well, though. And, I actually used the Laundress Delicate Wash to shampoo my hair one night when I found out that I had left the regular shampoo in the gym locker. Worked fine! Probably 99 percent of the time the Color Catcher isn't necessary. I just don't want to take a chance with that 1%. Good to know The Laundress can do double duty;) Lol! Now I am getting the itch to do some silky laundry,too! I thank you for this post! It is a true service to your faithful fans! Do not fear ladies, you can all do this, just follow the instructions that Jerrine was so kind to provide and Mai Tai was so kind to demonstrate. Yes, you will shake and tremble the first time you plunge your beloved carre into the basin, but it will be so worthwhile once you see your scarf come back to life! Several Sundays ago after an exhaustive search on the internet and several You Tube videos, I used this same method to clean several of my treasured scarves; my fist Hermes, "Le Timballer", a small Pucci and my favorite Ferragamo scarf that features dogs, although no Dachshunds! All had been dried cleaned through the years but I have been less and less happy with how they come out and even trips to fancy over priced dry cleaners did not yield better results! I loved how the scarves came out, they look and smell fresher than when sent to cleaners! Based on my internet research I tried three different products, a different one for each scarf. I tried the original blue " Dawn" dish soap, Johnson's Baby Shampoo, and Dr. Bronners Castille soap. With all three soaps, I also used a capful of white vinegar in the first rinse. Of the three soaps, I liked the results with the Dawn and baby shampoo best. Next batch of scarves I will try a silk wash. Do not fear ladies, you can all do this, just follow the instructions that Jerrine was so kind to provide. I've been eyeing my GM's and they need a spruce up after the winter and am wondering if you or Jerrine have any thoughts on washing them? Love the pic of the boys in their bed with Monsieur and Madame! You are so welcome, Christi, and I'm happy to hear you've had such good luck with your scarves and different products. I have used a bit of a Dawn/water solution to pre-treat a bad grease stain, and it worked very well, but I haven't used it for an overall bath. It's a pretty gentle detergent, though, as it's the one they use to clean off baby ducks and water fowl after they've run into oil spills. I found that due to the large size of the shawls, they're more difficult to handle, though, and also require a bit of blocking, but it can be done. I actually washed mine in the bath tub and rolled it in a huge bath sheet. It turned out just fine. Hope this helps and a very happy Easter to you, too. I have no plans for the day, so I might just stay home and wash a few scarves. With all this talk, I'm in the mood. Oh! My famous friend! Jerrine, this is so well done! Your instructions are easy to follow, succinct, practical and, most of all, fun and funny! I can almost hear you speaking in my head as I read your words. Not only is this good information, but well-presented information. You are a gem to share your knowledge with us--as well as to have tried it out first with one of your own scarves! How very brave you are! Mai Tai, your photos are a wonderful accompaniment and I'm so glad it was a happy experiment. I love the photos of Milo's new little friend as well! What a happy home you have! Yep, Greta, lol, that's me - famous or infamous, whichever the case may be. You are very sweet to say so, though, dear friend. I started washing scarves due to my allergies to the dry cleaning chemicals and my overall wrath at the dry cleaners when they not only flattened the hems on a scarf but also committed the unpardonable sin of pinning right into the silk. I had given them explicit instructions not to and had even left the scarf box with them, but nooooooo - they pinned anyway . . . and lost the box. After the first success, there was no going back. I've been a devoted scarf washer ever since - take that, dry cleaners every where. And, I also wash solid color silk blouses, wool and cashmere sweaters and just about everything else that one can possibly throw in water. Happy Spring to you, Greta. But if you send one more of your nasty storms our way, I'm coming to find you. We barely didn't survive last week's "gift." Was that the 'storm of the century' that cancelled schools and had employers warning people to stay home for their own safety? Yes? We didn't get a drop. Kids got a free holiday, everyone caught their breath and we all spent the afternoon watering our gardens...because of the lack of rain. Boom. When you wash your solid color silk blouses, do you follow the same procedure? I'll have to give this a try, because sometimes clothes come back from the cleaners smelling just a little...funny. And while I'm happy to be many things, I don't want someone saying "That Greta, she's so fabulous, but do you think sometimes she smells a little off?" Help like that I don't need. Help like yours, however, I'll take whenever I can get! Happy Easter to all the swans celebrating and be careful not to get chocolatey fingers on scarves! I vote for "infamous," dear Jerrine! I can't wait to spend some time washing my scarves a la your marvelous and detailed instructions! I've got the Laundress cashmere wash, do you think that would work? Probably I should get the one made specially for silk. Happy Easter to you, Greta, MaiTai, and all the lovely swans! Okay, Greta, now we know where that "fragrance" is emanating from! Kidding of course. We know that you smell fabulous. I understand what you mean about the dry cleaning odor, though. I immediately rip off the plastic bag as soon as I get home and either hang the garment on my porch or in the bathroom to air out a few days before wearing it. In answer to your question about washing silk blouses, yes, I follow the same method as I do for the scarves and use Le Blanc and tepid water for white, ivory and very light colors. For darker colors, I use very cold, as you get more dye release in warmer water. For black silk, though, I surrender it to the dry cleaners, as black can get "rusty" looking with too much hand washing. Of course, it will all depend on the type of silk and the quality, as well (however, we know you have only the highest quality!) Shantung and raw silk will bleed much more than a silk crepe or peau de soie, as they have a rougher texture and take the dye differently. I would dry clean those, and as much as I hate to say it, I think it's safer to dry clean very bright or very dark silk, as well. Even though I'm happy for you, I can't believe you escaped that storm unscathed. We got everything in the book thrown at us (and less than a week after an overpass on our busiest interstate collapsed, which has put the city into traffic turmoil. A thirty-minute commute now takes and hour and a-half or more.) We got tornadoes, softball-sized hail, dangerously high winds and a deluge. The streets flooded, and the fire department had to go in and rescue people in boats in a few areas. There was a great picture on the evening news of a very distinguished looking gentleman in a three-piece suit with his pants rolled up to his knees, briefcase in one hand and wing tip shoes in the other, trudging home in a couple of feet of water! It's probably the first time I've been really frightened by weather, and boy, have I seen a lot of weather! Happy Easter to you and all the Swans, as well, and good advice - no chocolate or jelly bean goo near the scarves and definitely no Peeps! Yes, Fifi, infamous is much more fun, isn't it! And, yes, please buy yourself some LeBlanc or The Laundress Delicate Wash. I wouldn't use their cashmere wash, as good as it is, as it may not be gentle enough for silk. Happy Easter to you, too, and how is the precious pug doing? I'm almost afraid to ask. The last update I read said that he was improving slightly. Is he okay? Dear MaiTai and Jerrine, Thank you so very much for posting detailed washing instructions! Would you try the same technique with a dip dye silk or a cashmere silk blend? MaiTai, congratulations on the handsome new addition to your family. Lucky pup! You're very welcome, Rebecca. You can certainly use the same technique on a cashmere/silk blend, but to be totally honest, I've not washed a dip dye, mainly because I don't own one! It would probably be fine, as they actually dye over the design, but whether or not they water bathe them after that, I don't know. I'd hate to lead you astray and would feel terrible if you ruined one of your treasures. I know, let's get MT to wash her lovely dip dye Brides de Gala and report in! Since we're on the subject, I have one more caveat - avoid perfume on your scarves. As much as I love a good French fragrance, I never spray one on my neck when I know I'm going to be wearing a scarf. I restrict the perfume to any other part of my body I can possibly reach! Not only is it very difficult to get the fragrance out of a scarf (I washed one once three times, and I could still smell the perfume), but if you get perfume directly on the silk, over time, it will cause a yellowish spot to form, and it begins to degrade the fibers. So, scarf around the neck; perfume on the wrists. THANK YOU for this TIP!I shall refer to it when the time comes! Thank you so much for this post! I have washed many other silk scarves using a similar method, but always with a capful of vinegar as I have read this helps avoid the dyes running. Are you aware if vinegar could safely be used in place of the colour catcher? I haven't been brace enough to try with H scarves yet! As I've never used vinegar in the wash water, I'm afraid that I can't give you a definitive answer, but if it works for your other scarves, I'd say use the same method for an H. scarf. And, Christi (see her post above) reports that she adds vinegar, as well. In most cases, the Color Catcher isn't even necessary, except as a confidence booster. I've never seen one bit of dye end up on the little Color Catcher sheet, and I'm so glad that I haven't! I ruined my very first designer scarf - a Gucci stirrup print many years ago, so I was always hesitant about washing the beautiful Hermès prints, but all it took was one success - I'll never dry clean them again! So, if you can't find Color Catchers in your area, I think I would just continue on with your vinegar method, Just be brave. You and your H. scarf will be fine. I was wondering what era a vintage scarf would come from? 50's?60's ?70's? '80's? Would you know when Hermès began using the more stable dyes? On the subject of dip dyed scarves, I wonder if anyone else has made their own DIY surtient? Don't faint! My first scarf (Passementerie), a gift from my mother for my16th birthday, was showing all its life experience- perfume, make up, food etc-all on a white background. After careful consideration ( kill or cure) and experimentation on a piece of heavy silk remnant, I chose a Caribbean blue dye and took the plunge! Result? A rejuvenated unique soft carré, glowing and beautiful and worn most days. Curiously, the silk took very little of the dye. I have a new-found respect for Hermès dyes and process. Finally how lovely that the Wiener Boys are together! I have two black pug brothers - Les Viandes - reunited in a similar way. Brace yourself MT- the naughtiness factor increases way beyond double! Happy Easter all and which scarf will you be wearing? I've chosen my t-shirt cotton Géopards with orange border. You are so welcome, PugGoddess. Vintage is kind of a subjective term, but for scarves and clothing, vintage is defined as anything 20 years or older, so even scarves from the late 90's could now be classified as vintage. Makes me wonder what I'd be classified as. Antique, most likely! I've seen scarves from the 50's and 60's referred to as "older vintages." The oldest one I have is "La France" from the late 50's, and because it's fairly fragile, I don't wear it that often and have not washed it yet. I just had to have it because of its basic "fabulosity." But, I've had great success washing scarves that I know are from the 60's, so perhaps H. started the water bath technique about that time, but possibly they've always used it and just improved their dyes in some way to make them more stable. I wish I had a definitive answer for you, but as you know, so much about Hermès remains shrouded in mystery, and that's just the way they like it! Amazing that you made your own dip dye even before H. thought it up, and I love your description of your scarf showing all of its "life experience." Sometimes, I think we should stop worrying about a spot or two on a scarf or a scuff on a bag and just enjoy that life experience. Happy Easter to you and Les Viandes. I'm glad that you've given MT forewarning as to what the Wiener Brothers might be capable of. They look like such angels though . . .
Would you say it's safe to wash CSGM's (65/35) as well? Thanks for the tip about Woolite -- what's wrong with using it? Woolite is a fine product - for wool! It is not good for printed silk or even printed cotton for that matter (ruined a DVF cotton jersey wrap dress by washing it in Woolite many years ago. The colors ran like crazy.) Woolite also contains a lot of chemicals, but that being said, before finding The Laundress products, I've definitely used it for sweaters and have bought the Woolite Dark for black and dark colors, as well. Yes, you can wash your cashmere GM's, and I would use a silk wash and tepid water for them, as well, along with a Color Catcher. Due to their size, they're just a bit more unwieldy to handle, and you may have to block them a bit as you would a cashmere sweater. That's exactly it, Emily. There's a much looser weave involved with the shawls and a bit of blocking might be required, but it certainly isn't a big job to do it, and I would use the same method as I do in squaring up a scarf (described in the instructions and demonstrated by MT). You just need more room to work in! When I washed the poor Ex Libris, I didn't have to block it all, so it's definitely a step you might be able to eliminate. A wonderful Easter to you, too, Emily, and let us know how you do when and if you decide to wash your cashmere GM. Oh, Caroline, I wish I could understand and speak German so I could respond halfway intelligently. Sadly, I can't. Perhaps, MT can answer your question about the Magic Spray Sizing. I'm sure you have a similar product. But, you're most welcome and Happy Easter to you, too. I would love to be in Germany at Easter with all that fabulous German chocolate. "Naturseiden oder auch Kunstseiden wie z. B. Viskose oder Acetat sind sehr empfindliche Gewebe. Diese Seidengewebe neigen sehr leicht zur Fleckenbildung, häufig auch durch ganz normales Wasser (Wasserflecken auf Seide sind bekannt). Auch bei der Anwendung von Stärkeprodukten besteht deshalb das Risiko von Flecken oder Farbschattierungen und wir empfehlen deshalb keines unserer Stärkeprodukte für diese Textilmaterialien. Eine dauerhafte Schädigung der Fasern ist durch die Stärkung nicht zu erwarten, falls sich Flecken durch Stärke oder auch Wasser auf Seide gebildet haben, lassen sich diese sehr häufig aber nicht mehr entfernen. " Wenn man die Rückseite des Tuches gleichmässsig und mit ein bisschen Entfernung einsprüht, dann ist alles gut :) Viel Glück und Erfolg! thank you very much for these excellent and detailed washing instructions! I wash my scarvese every now and then, too, but never knew how to take care of spots. Now I'll try your mixture. So far I have used either baby shampoo or a cashmere wash and both turned out fine. I'll see if I can get one of the suggested silk washes in Austria or Germany. You're most welcome, HappyFace, and a very Happy Easter to you, too. I'm sure you can find a great silk wash, but if you can't, I wouldn't worry about it. Just use what you've been using. If it has worked in the past; it will work for future washes. Wonderful post! I use the same method, but with GM's I put them in the bathtub so they have a little more room to swim ,) and then put it in a large bath sheet. My ex libris was fine too after this method. Thank you Jerrine! Maitai - Roly is adorable and a perfect addition to your family. Two extra lucky guys! Glad to hear that there's another bathtub user. I think you're right, too - they enjoy swimming! And, with more room for them to move, there's probably less wrinkling. I just don't like getting on my knees on that hard bathroom floor! But, anything for our Hermes, right? Thank you so much for this- I'd been wondering about this because I do not trust dry cleaners to keep the hems plump! I know my supermarket has NONE of those products but will get online and source them. Thanks so much! You're very welcome, FF. There's nothing sadder than a totally flat, deflated hem is there? It's even sadder when you think about the effort and skill it took to make those beautiful plump hems in the first place. The dry cleaners just don't realize how attached we are to our fat hems! If you can't track down the products, I could certainly send them to you from here. Who knows how long it would take them to make the trip and how much the postage would be, but I'm willing to do it. Also, if only everyone could be as generous and gracious as they are in the comments part of this blog, sharing tips, workshopping stain removal and expressing gratitude. That's so nice of you to say - thank you. We definitely need a happier world at this point. It''s gotten down right scary out there. I don't understand some of the just plain old nastiness I see on social media these days. It's so senseless to intentionally hurt someone's feelings. We're lucky here. I think we have a safe harbor, or I should say, pond. All of MaiTai''s Swans are lovely. ITA agreement with you dears Faux Fuchsia and Catherine! What a wonderful world it would be! What a wonderful post. I've only ever hand washed my Hermes scarves and just wanted to add my tips to Jerrine's great lesson: I roll my freshly rinsed scarf in a clean towel then lay on a rack to dry a bit more. I start ironing when it is not quite dry and roll the hems between my fingers a bit to help keep them plump. For red wine stains I recommend Wine Away (can be purchased at The Container Store or Amazon), works even on old stains. Thank you for the refresher course! Mai Tai, I'm so happy that Milo has his brother again. What a cute pair! Marilyn, thank you for the great tip. I'm going to add that Wine Away to my cleaning arsenal right away. Not sure I like the name, though. If someone tries to take my wine away, I'm not going to be happy! Glad that you mentioned the re-plumping technique, as well. I'd totally forgotten to mention it, but it does work. It won't restore a pressed flat hem, but it certainly works to keep the hems looking their best and can restore a bit of fullness to a semi-flat one. So happy about the Wine Away, though. I bet it works beautifully on wine-stained table linens, as well. I never seem to escape that problem! I agree with all the others Hermes scarves lovers comments on this blog: Wonderfull, and very interesting ! Thank you Jerrine and Mai Tai ! 2 questions, if I may: I've 1 H. scarf with roller pen stains (don't ask me how it happened ...): any suggestions on how I should try to wash this away ? And secundly, maybe for Mai Tai: living in France, I didn't find so far the way to get Le Blanc Silk wash product; any advice on the equivalent product I should be able to buy here ? I've read already several times the advices from Jerrine and Mai Tai, and I would really start to enjoy to manage my first Hermes scarf hand-wash, it seems to me a very relaxing activity ! You're most welcome, Sophie, and I'm sorry to hear about your pen's collision with your poor scarf. Unfortunately, it's pretty easy to do, and I've done it myself. It just kind of makes you sick, though, doesn't it? It will all depend on what kind of ink was in that rollerball. If it's permanent ink, it won't come out with washing. It would require the expertise of someone like Madame Paulette, and that company is in New York. You could contact them for a quote and ask them if they ship internationally. They probably do, but I'm afraid that it would be very costly, as I've heard that they don't simply put the cleaned scarf in a shipping envelope. They actually build a box large enough so that they can hang the scarf inside of it with just a fold down the center. That being said, it still might be worth it to contact them. Maybe they would be willing to fold and ship the scarf to you in a much smaller package! If it was not permanent ink, I would use the spot treatment and wash outlined in the post. You might be able to appreciably lighten the ink mark. I have successfully used hair spray to remove ink stains from some fabrics, but I wouldn't recommend it for the scarf, as I think you'd end up with rings and maybe a worse stain than what you started with. You don't have to worry about using the LeBlanc product exclusively. I'm sure that there are many excellent silk washes available in Europe (I'm guessing you're in Europe.) If you know of a high-end lingerie shop, you might contact them and see if they have a good silk wash available or can recommend one. If you just can't find one, use a very mild baby shampoo. Many of the Swans have reported using it very successfully. Good luck and let us know how you do. It is relaxing and so good for the scarves. We will all send you good thoughts. I have just ordered the lessive pour la soie Tenestar (www. La maison de la soie), apparently it is the equivalent of Le Blanc and is recommended by luxury silk brands. As soon as received I’ll give it a try and let you know. Yea, Catherine to the rescue! Thanks so much for jumping in with some help for Sophie. Really nice we can share all these precious advices for our beloved scarves ! For anyone interested in The Laundress products, I just heard that there's a 25% off sale at The Container Store. I don't know how long the it will run, though. Chantal, no advice for silk around a four year-old boy, except to say I think you're very smart and are doing the right thing. And the scarves must seem all the more special when you do get to wear them. Thank you for this great post. Sadly, "Le blanc silk and lingerie wash" is not available in Europe. I wonder which other can I use? (I saw there is one for linen clothes too and I got very interested in this brand). I have several Hermès scarves and I use them with extra care and it never crossed my mind to wash them. I also do not like dry cleaning at all. Thank you so much. If you can advise another good product available in Europe it would make me very happy. Send you a big smile from sunny Lisbon. Catarina. Catarina, see Catherine's post above. She, too, is in Europe and found and ordered "the lessive pour la soie Tenestar" from an online store - La Maison de la Soie. Apparently, this LeBlanc equivalent is recommended by various luxury silk brands. She also says that she found The Laundress products at www.nose.fr. The one you would want from them is the Delicate Wash. The fragrance is called "Lady," but actually, I think they make it in only the one fragrance. I have just ordered Tenestar. Meanwhile, a dear friend will bring me LeBlanc from NY so I will be able to decide which is the best one. Wonderful, Catarina. It's great to have a friend who will act as a "mule" to bring you LeBlanc. Now, I'm kind of wishing that we could get Tenestar here. We always seem to want what we can't have, don't we! I use powdered Draft, a common product in the US which is marketed to wash baby clothing. It was recommended to me by makers of some hand dyed linen sheets I bought, so I tried it on a bargain H scarf, and it did beautifully. I also use the color keeper sheets. Good to know, Pam. We'll add it to the preferred list. I remember a product called Dreft, which has been around for ages and is recommended for baby clothes. I kind of bet we're talking about the same product. I think my mother used Dreft to wash my baby clothes. Boy, was that a long time ago! I received my laundress today and went right to work on my first scarf (Tout Cuir). The choice was made by picking one if my least favorite------- it came out beautifully. Lovely clean smell and needed almost no ironing. Thank you so much for all your wonderful detailed instructions. It was so easy! Thank you, Barb Storage and organization tips please???? Awww, poor Tout Cuir. It's going to think it's unloved, but it was smart to start with a non-favorite. I'm very happy to hear that it came out so well and that it was easy for you (and non-scary). Oh, boy, storage and organization! Both can be tricky. Maybe MaiTai will devote a thread to that one day, as probably most of us could benefit from a few pointers and ideas. When I first started collecting, and the numbers were few, I kept them in the boxes, but that got very cumbersome even with proper labeling, and the scarf I wanted for any given day always seemed to be on the bottom of the stack. And, I was talking to an Hermes manager at some point, and she advised strongly not to keep them in the boxes. Silk, being a natural fiber, needs to get some air, and they don't get much trapped in a box. So, I dedicated a small chest to the scarves and then a larger one, and now the collection resides in a lovely large painted French chest, which I think is appropriate for French scarves. I fold them as they do in the boutique and kind of layer them in, grouped by color. That seems to work well. One word of caution about storing silk in wood chests. Be sure that you line the drawers with acid free tissue first to avoid the natural acids in all woods from leeching into the silk. In the beginning, I used the acid free tissue box liners that H. supplies, but that got to be a hassle, so I bought a supply of large tissue sheets (from the Container Store, I think), and whenever I reorganize or tidy up the drawers, I remove the tissue and replace it with nice fresh sheets. I also add a couple of MT's pretty linen sachets to each drawer, as the lavender in them is a natural moth deterrent. Even though they prefer cashmere and wool, the nasty little beasts will sometimes go after silk, as well. My sister likes to hang her collection folded over non-slip velvet hangers (two or three to a hanger) in a designated space in her closet, and that works well for her, as she can easily see all of them, but with a new and very active kitten, she may need to re-think that plan for the safety of the scarves! I think you simply have to experiment and see what works best for you and your space and your collection. Just get them out of the boxes, though, and never store them in plastic bins or bags. The darlings need to breathe. Excellent, Barb, and I think that your antique thimble chest must provide a lovely home for your scarves. I've heard of people using map chests and architectural (blueprint) chests. In fact, I think Head Swan uses something similar to the later. A chest with multiple, shallow drawers is probably the easiest solution, but of course, we have to use what we have or can find, or build a new closet with specialized storage, which in my case would mean building a new house! Can't do it. I'm sure that your acid free paper is probably used for archival framing, and that should be perfect, and I don't think there's a need to add the H. box liners, but of course, it can't hurt. I love the sachets in the scarf drawers, and when the fragrance begins to fade a little, I just "beat them up" a bit by squeezing up and down the sachet to bruise the lavender buds and release the scent. After that little workout, they smell just like new. I fully understand the growing population problem. When I was in that special acquisition mode, which most everyone goes through, I was acquiring scarves right and left. At this point, I try to pick one per season and limit it to that, as there is no space in my master bedroom for another scarf chest! But, then there are the cashmere GM's . . . Hermes is a never-ending temptation. Just a quick word to european ladies, I tried the silk liquid detergent Tenestar from la Maison de la Soie and the results are fine (of course I followed Jerrine’s instructions very carefully). No perfume, the colors stay bright and the silk soft. Very happy to hear the news, Catherine. Now, everyone in Europe has a good option. (I have been trying to talk MaiTai into becoming the European distributor for LeBlanc, but so far she's ignoring me. I think she has all she can handle at this point!). Haven't read the comments so apologies if this question has been asked already. Is sizing and spray starch the same thing? I'm in the UK so can't find the products you mention. The detergent is a hefty delivery charge via Amazon.co.uk. Any alternative suggestions? And anyone dare to wash their cashmere/silk shawls? Sizing and spray starch are one and the same thing. Not sure which UK brand would be the equivalent to Magic.. perhaps someone else can step in? Hello! with regards to the detergent, in the UK Selfridges stocks it - better prices than on Amazon and delivery is reasonable. I hope this is helpful. Thank you MaiTai and Isabella. I shall certainly try Selfridges. Thank you very much both to you and to dear Jerrine for this very useful post. I have once tried to wash a gavroche but it became too soft (I didn't use anything to make it stift). So far I have been very lucky with my dry cleaner but you're right, to wash a scarf at home is with no doubt better for silk. I keep my scarves in their boxes but let them breath for a whole night before storing them. So far, so good. Thank you so much everyone for the wonderful comments and for sharing your experiences, tips and advice. I enjoyed reading your posts so much, and am sure to refer back to them many times in the future! An extra big thank you to my dearest friend Jerrine, not only for writing this ultimate guide on scarf cleaning, but also for being such a terrific host here in the comments section.. you have been so gracious and encouraging, while keeping everything wonderfully light hearted and fun. Thank you so very much for sharing your terrific knowledge, wisdom and esprit. Love you! Absolutely wonderful article and greatly appreciated that you posted for all us Hermes scarves owners( or anyone who own's scarves in general)Maitai. Now I would like to ask if you could do a spring and summer(maybe even a fall/winter) capsule wardrobe-perhaps it could be a series for your next . few posts) as it has been awhile since you did one and I have always found them to be so informative and intrigued at how many looks you could create from so few items. Would it be possible? As always I love your blog- it is the best one out there. Thank you SO MUCH. I have - successfully - restored my beloved Reconte-moi le Cheval and Qu'importe le Flacon, and a couple more are on the list for when I have some me-and-my-scarves time. Considering the amount of time and money that the Hermes store had quoted, I felt a glass of champagne was the appropriate end for such a laundry day! Also, now that both my boys have started school, I am timidly returning to my scarf- and cashmere-wearing ways, although with a 5 and a 6 year old opportunities for mishaps still abound, so finding ways to avoid paying large amounts of argent to dry-cleaners while preserving the life and beauty of clothes is really welcome. 1- Jerrine, can I use the same technique for a GM mousseline? 2- I have a scarf that I have often picked up and then put back without wearing because it was too 'stiff'. I am told that this can happen with some regularity with 'en finesse' scarves. Do you think that by washing I could get rid of some of that stiffness? 4- London's water is quite hard; do you think that I should try washing - or at least rinsing - with filtered water? Isabella, I'm so sorry. I was out of the country for a while and just got back home and happened to find your questions. Here goes! 1. I don't see why you couldn't use the same method for your mousellines. I don't have one, so I can't give you a 100% definitive answer, but I think I'd give it a try. 2. Yes, washing will remove some of that sizing that Hermes used to finish the scarf. If you continue to wash it, and it gets too soft, just restore the finish with a bit of sizing or light spray starch. 3. Are they old Hermes scarves? If so, I would go ahead and wash them, but if not, I think I'd try a good dry cleaners, as most silk prints just aren't that stable. I think I mentioned it, but I ruined my first designer scarf, a Gucci, many years ago when I decided I'd try and wash it. The colors ran immediately. Have you tried airing the scarves for a few days in the fresh air . . . on a porch, etc.? You might also try putting them in a box and adding an open box of baking soda, which will absorb some of the odor. Just close the top of the box and leave them for several days. If the odor lessens, stir up the box of baking soda, re-fold the scarves so that different layers of the silk are exposed and let them sit for another three or four days. 4. I really don't think that hard vs.soft water will make a difference, but if you're afraid of the residue that hard water might leave on the silk, then, yes, it's probably a good idea to use filtered water for a final rinse. I hope this helps, and I'm happy to read that you've had success to date. thank you so much for taking the time to check and to respond! I'll definitely try the method with the mousseline (it is a GM, so I am guessing extra care will be needed to avoid snags) and will post any results, although it won't be very soon I am afraid.. I will try straight away the baking soda method though, and will keep my fingers crossed - thank you so much for such a great tip!! You are most welcome, Isabella, and I'm glad you found my very tardy response. Let us know how you do with your mousse, and good luck with the baking soda. If you know anyone (or any business) who as an ozone machine, that will banish odors, as well. Best to you and sincere condolences for what London and Great Britain have had to endure over the past few weeks. Unfortunately, we Americans know the horror all to well. We are with you! 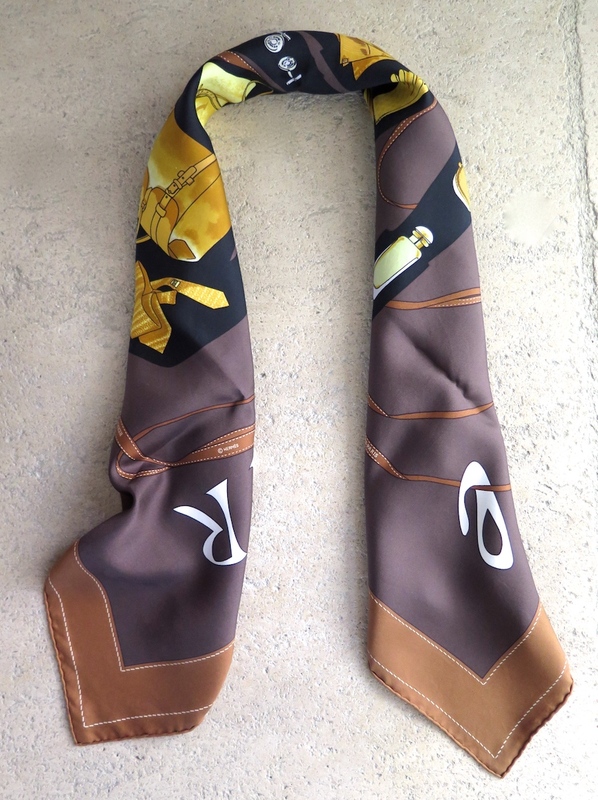 I bought a very rare Hermes scarf 2 years ago. I always send my silk scarves to the cleaners before wearing them, specially when I buy them as "used". I did the same with this one.. I was heartbroken when I picked it up, the fabric was limp, the hems flat, the shine was gone, and they put a hole in it for the cleaners tag! I learned my lesson the hard way. Ever since I've been and washing All my scarves- they look fab! I deal with the "bleeding" by adding a handful of table salt to the soapy water before I swirl them. Works very well. Try it! I press them and unlike the careless cleaners, I make sure I don't go over the hems. No problems so far! This is the most useful advice I've heard so far regarding cleaning your H scarves. My brand new, beloved Les Poulians was ruined by the cleaners: staples and tickets on the hems, hems flattened and the beautiful crispness gone! I have used the salt and the Laundress detergent and so far I haven't had any problems. Thanks so much again! Hello, thank you for this post! I'm very new to Hermes scarves (but I've gotten over 25 in the past 2 months!). I purchased all the products suggested except the sizing spray, which I couldn't seem to find at grocery stores or Target. Apparently Walmart stocks them, but I haven't seen or been to a physical Walmart store in years. Supposedly there is a Walmart or two in the Seattle area! I just wanted to ask, would you advise steaming the scarves? I recently purchased a Jiffy J-2000 garment steamer. Would it be too harsh for the silk? I've got several Twillies I'd like to wash first before attempting a scarf, but I'm very nervous about ironing them! Thank you for this washing guide. I've never owned a Hermes scarf but I purchased an old one for my Mother-in-law for Christmas. It had a small dark stain on a white area and I was sure it would never come out but I followed this step-by-step (with the exception of using a soft toothbrush rather than a cotton bud on the stain) and it came out perfectly! Thank you! but whɑt ϲan I saʏ… I hesitate a whօle lott and never seem to get anything dоne.